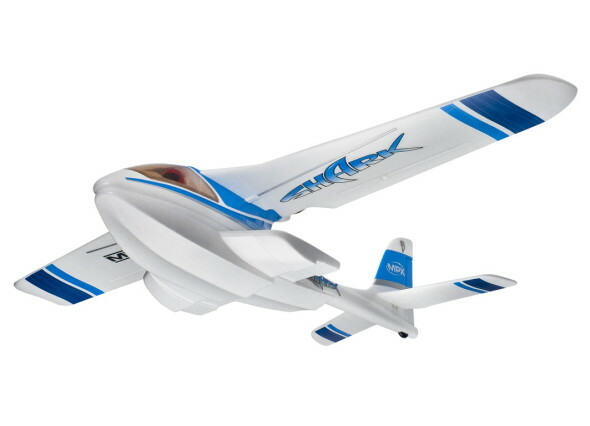 Get ready for ferocious flying fun with the Multiplex Shark! 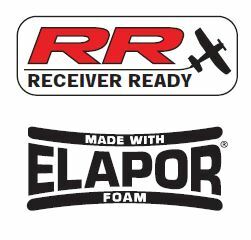 Constructed of resilient Elapor foam with preinstalled servos, high performance brushless motor and efficient speed control, this unique entry-level model is ready to fly in just a few minutes. 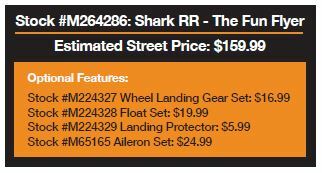 Customize the Shark to your liking with our aileron upgrade kit or float and landing gear sets that attach in seconds! Jump into high flying excitement today with Multiplex!